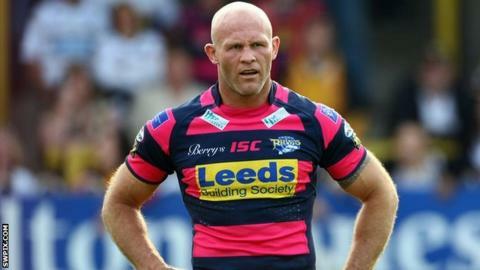 Former Leeds Rhinos centre Keith Senior has joined Championship side Sheffield Eagles as assistant coach. The 37-year-old was in the Eagles team that won the Challenge Cup in 1998. "It's great to be heading back to the Eagles. I have a lot of fond memories here and I'm excited about getting involved," he told the club website. "I've been interested in coaching for some time now and see it as the next natural progression after finishing my playing career." After leaving the Eagles for the Rhinos in 1999, Senior went on to become the first player to reach 500 Super League appearances and helped Leeds to Grand Final success three times. Head coach Mark Aston added: "I'm thrilled Keith is coming back to us. He has a lot of knowledge around the game and has an abundance of experience on the big stage with numerous Challenge Cup and Grand Final appearances under his belt, along with a raft of international appearances."